Indonesia is the largest economy in South East Asia and is considered to be politically stable and reform-minded. In fact, behind China, India and Turkey, it’s the fastest growing economy in the world. It is also the epicentre of global nickel supply growth. So, for an ASX-listed newcomer with a $333 million market cap, Indonesia represents a gateway to global nickel supply — a region where it can fully leverage the major partnerships it has built and tap into nickel’s upbeat fundamentals. Last year, nickel prices hit their highest level in two years, surpassing US$16,000/t in April on fears of US sanctions against Russian nickel giant Norilsk. The passing of this concern, and then the US-China “trade war” rhetoric that dominated the latter part of 2018, took the steam out of nickel’s momentum and saw prices limp into year-end at a little over US$10,500/t. Still, in 2019, nickel fundamentals look both strong and undeniable with the three-month nickel price in an uptrend and currently at US$11,400/t — up more than 8.5% from its 2018 lows. Nickel demand is expected to grow 2-3% over the medium to long-term, underpinned by improving outlook for stainless steel and the rapidly growing electric vehicle (EV) battery market. Yet this sizeable demand is outpaced by a global nickel supply deficit, which is expected to continue until at least 2027. These positive demand fundamentals are also occurring against a backdrop of declining LME stockpiles which have fallen to just over 200Kt, from just under 500Kt only 12 months ago. The company we’re introducing today listed on the ASX in August 2018 after raising $200 million in an oversubscribed IPO. There are several reasons as to why this company is expected to attract so much interest both this year and beyond. It holds an 80% interest in a long-life high-grade nickel laterite deposit on the doorstep of the Indonesia Morowali Industrial Park (IMIP) — the world-class, fully integrated nickel and stainless facility operated by the world’s largest stainless steel producer, China’s Tsingshan Group. 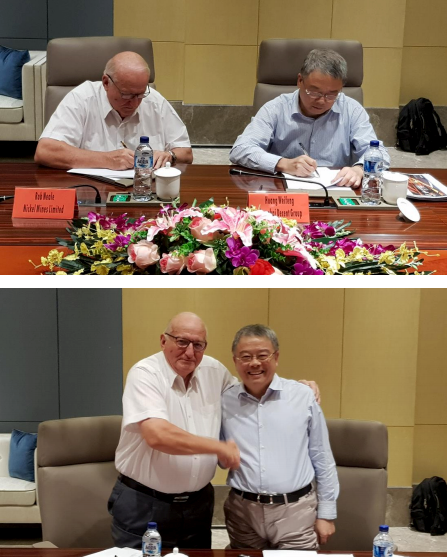 It has established a strategic partnership with Tsingshan to build nickel pig iron (NPI) capacity within the IMIP with production set to commence in the first half of 2019 and deliver strong operational cashflows. With Tsingshan already the company’s largest shareholder with an 11.6% stake, the company serves as a logical platform to house and fund Tsingshan’s future growth initiatives. Recently listed Nickel Mines (ASX:NIC) hit the ground running when it joined the ASX in August 2018. In fact, NIC’s heavily oversubscribed IPO sparked quite a bit of attention as one of the largest resources floats in Australia over the last decade, including from the world’s largest natural resources fund, Blackrock Investment Management, which holds just under 10% of the company. So, how did NIC come to be? To answer that, we need to go back to the beginning. 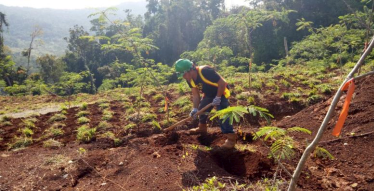 NIC has been toiling away in Indonesia since 2009 when it first acquired its 80% interest in the share capital of PT Hengjaya Mineralindo, the owner of 100% of the Hengjaya Mine — a large tonnage, high grade nickel laterite deposit sitting on an IUP concession area of 6249 hectares in the Morowali province of Central Sulawesi. Over the course of the next several years, NIC would advance the Hengjaya Mine through the various permitting, feasibility study and development stages, culminating in the commencement of production in October 2012 and a maiden shipment of ore in February 2013. A number of vessels containing high-grade ore (at an average grade of 1.98% nickel) were sold into China and Japan in 2013. However, when the Indonesian Government formally enacted a ban on the direct shipping of unprocessed minerals in January 2014 (known as the DSO Export Ban), mining at Hengjaya ceased and operations were placed on care and maintenance. At this point in time, NIC faced an uncertain future as it was forced down the path of exploring in-country beneficiation options, such as building its own smelting capacity and/or finding a domestic buyer for its ore. In response to the flagged legislative changes announced by the Indonesian Government in 2009, and well ahead of the DSO ban’s formal introduction, in mid-2013 Tsingshan committed to building a nickel and stainless steel processing facility in Indonesia to satisfy the new framework for the treatment of Indonesia’s natural resources. In October 2013, China and Indonesia formalised the establishment of a China-Indonesia ‘integrated cooperation industry zone’ to be located in the Morowali County of the Central Sulawesi Province of Indonesia with China’s President Xi Jinping, and then Indonesian President Yudhoyono witnessing the signing of the Cooperation and Financing Agreement for the development of the IMIP. So what exactly is Tsingshan? Well, it’s not a state-owned enterprise (SOE), but rather, a privately owned Chinese group. This short video examines how powerful Tsingshan is, and, by extension, what NIC is able to leverage through its tight partnership with the steelmaking behemoth. Tsingshan is the world’s largest stainless steel and nickel pig iron producer, having produced 7.48 million tonnes of stainless steel in 2017, generating revenues in excess of US$25 billion from a work force of more than 31,000. As a consequence of the export ban and the establishment of the IMIP, NIC struck a relationship with Tsingshan and the company was given a new lease on life. As a key input into its stainless steel operations, Tsingshan makes nickel pig iron from a series of Rotary Kiln Electric Furnaces (RKEFs). With Tsingshan requiring nickel ore feed for its expanding number of RKEFs, Hengjaya Mine re-established operations in 2015 and began supplying nickel ore to the industrial park. Over the following two years, this relationship would expand beyond purely ore supply into a broader strategic partnership that culminated in the September 2017 signing of a collaboration and subscription agreement (CSA) with Shanghai Decent (a Tsingshan group company) and an unrelated strategic cornerstone investor, Shanghai Wanlu, to construct a 2-line RKEF plant within the IMIP to produce nickel pig iron. The two-line RKEF plant will produce approximately 150kt pa of nickel pig iron grading 11% for approximately 16.5kt pa of nickel metal equivalent. The CSA would see Shanghai Decent and Shanghai Wanlu inject US$26 million and US$24 million respectively into NIC and become significant shareholders in the company. NIC would use this US$50 million to secure its initial 25% interest in this RKEF plant (now known as Hengjaya Nickel). The CSA also governed the terms and conditions by which NIC could move to up to a 100% interest in Hengjaya Nickel, but for this significant acquisition additional funds would be required. It was now time to pursue an IPO. After successfully raising A$200 million in its IPO, NIC immediately committed US$70 million to increase its stake in Hengjaya Nickel to 60% and retains the option to increase this to 100% within 12 months of first NPI production for a further US$120 million. We’ll come back to discuss the extraordinarily low capital intensity for building these RKEF lines a bit later. Before looking further at the downstream processing side of the equation, let’s take at a closer look at Hengjaya Mine. 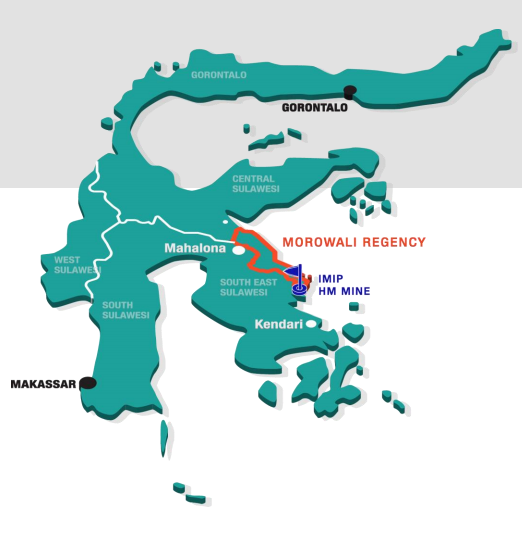 Located only 12 kilometres from the IMIP, Hengjaya Mine is a large tonnage, high-grade, open-cut mine, containing a Resource of 37.5M dmt at 1.81% nickel (680k tonnes contained nickel). To put Hengjaya Mine’s scale in perspective, this resource is enough to supply two RKEF lines for more than 35 years at a mining rate of 1.5M wmt per annum. This resource, moreover, isn’t even fully defined — only around half of the mapped ultramafic nickel bearing area has been resource-drilled, so there’s significant expansion potential here. Operations at the mine are in the process of being upscaled, with expansion initiatives to include the grading of designated haulage roads from pit operations to the mine’s jetty, upsizing the trucking fleet and expanding the jetty to cater for larger barges. These costs of approximately US$3.7 million are fully funded from the company’s IPO proceeds. As mentioned earlier, the development of the IMIP was co-sanctioned by the Indonesian and Chinese governments back in 2013. Just over five years on the IMIP has become a “showpiece” asset for the Indonesian Government, having delivered on the underlying objectives from the implementation of the DSO export ban – to create a downstream processing industry that would lead to greater value capture for the nation’s treasury (in terms of taxation dollars) and, just as importantly, employment and prosperity for its people. The IMIP is now the world’s largest fully integrated nickel/stainless steel facility in the world. The IMIP currently employs approximately 25,000 people, 22,000 of which are Indonesians. With all this world-class infrastructure in place, and with the full support of the Indonesian Government behind it and the greatly reduced geopolitical risk this entails, it is not difficult to see why Tsingshan is receiving a lot of interest from external parties to build their projects within the IMIP. That NIC is able to operate as a tenant in partnership with Tsingshan within the IMIP and benefit from all of this infrastructure and political goodwill should go a long way to easing any sovereign risk concerns of would-be investors. Accounting for approximately 80% of Indonesia’s nickel pig iron production, Tsingshan has established a clear early-mover advantage in building in-country processing capacity and is recognised as the global leader in RKEF processing technology to produce nickel pig iron. Specifically, it is a leading exponent of pyrometallurgical technology, using the RKEF process to produce NPI from laterite ores. As the pioneers of the RKEF process, Tsingshan have mastered the construction and operation of these RKEF lines. All key component parts are prefabricated in China before being shipped to the IMIP for assembling, which in part helps explain the industry-low levels of capital intensity for they can build their plant. Having plentiful amounts of the world’s lowest cost stainless steel doesn’t hurt, either. 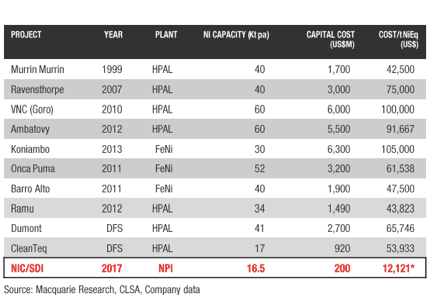 The following table shows how Tsingshan has been able to utilise the RKEF processing route to deliver nickel units on a cost per tonne basis at a superior rate to many peer projects that have relied on the far more complex and costly HPAL and Ferronickel processes. Testament to the new standards to which it can build a project, Tsingshan has contractually guaranteed to NIC that construction costs for its RKEFs will not exceed US$200 million. Furthermore, having already built and commissioned 20 identical RKEF lines within the IMIP, there are negligible construction and commissioning risks for NIC to be concerned with, compared to what other peer projects would confront. Not only does NIC benefit from Tsingshan’s new standards of capital intensity and project delivery, but also the ability to leverage the unique operating cost profile on offer within the IMIP. The establishment of the IMIP was in part the outcome of some very simple logic. Rather than shipping millions of tonnes of ore (and water) halfway across the world to China to produce stainless steel, why not set up operations in the heart of the world’s biggest source of laterite nickel – Sulawesi, Indonesia? A huge logistical advantage in itself compared to the former. With the introduction of the export ban effectively confining the Indonesian archipelago’s massive resources of high-grade ore to domestic sale, the IMIP is now essentially the only buyer in town and has therefore established a significant nickel ore cost advantage over Chinese steel mills, which are forced to purchase lower grade ore from the likes of the Philippines and bear the inherent shipping costs. Then there is power. The IMIP now boasts approximately 2GW of installed power (enough to power a city the size of Brisbane) with the onsite power station fuelled from an abundant supply of locally sourced thermal coal from Kalimantan. The result? Power supply at an enviable rate of US6-6.5c per Kwh and a significant advantage over peer projects. Finally, there is the logistical set-up of the IMIP itself. The park is set up to minimise handling and optimise efficiency. Perhaps the best example of this, and most relevant to NIC, is the “hot charging” molten transfer of NPI straight into the stainless steel plant, as opposed to the far more costly and logistically involved process of casting NPI into ingots, shipping it and then re-smelting it at its end destination. By operating within the IMIP, NIC gets to benefit from all of this and is subsequently expected to sit at the ultra-low end of the global NPI cost curve. Mutual benefit is a key ingredient to any successful partnership and the Nickel Mines/Tsingshan relationship is no different. While we’ve so far highlighted the many benefits flowing to NIC from its relationship with Tsingshan, Tsingshan is also set to derive numerous benefits from this partnership. The development of the IMIP and all of the project and infrastructure within have to date been predominantly funded by Chinese capital – private and institutional sources of debt and equity. With substantial project development still ahead for Tsingshan, NIC (for the first time) offers access to a new pool of capital – specifically, western capital markets. Boasting an entrepreneurial board with a strong track-record of tapping capital markets to fund projects, the newly listed NIC vehicle provides Tsingshan new sources of funding for future project development and a platform for which its large array of assets could find a home. Let’s also not forget Hengjaya Mine, which will not only make a valuable contribution of saprolite ore to the IMIP’s RKEF operations, but will soon be a key supplier of lower grade limonite ore to the recently announced HPAL plant that has recently commenced construction. Not long before its IPO, NIC and Shanghai Decent signed an MOU to build, own and operate a further two RKEF lines. Less than three months after its listing, this MOU was converted into a binding collaboration agreement with the two additional lines to be known as the Ranger Nickel Project. Utilising US$50 million of its IPO proceeds, NIC has already acquired a 17% interest in Ranger Nickel with staged options to move to up to 80%. The options NIC has across both the Hengjaya Nickel and Ranger Nickel Projects give it a potential nickel production profile of approximately 30kt of nickel per annum, which would make it one of the largest listed pure play nickel companies anywhere in the world, and well on the way to achieving its objective of becoming a tier-1 nickel investment exposure. Another advantage for NIC is speed of project delivery. With the Hengjaya Nickel RKEF lines having commenced construction in early 2018, it is currently on schedule to produce first NPI early in the second quarter of 2019 meaning operational cashflows are just around the corner. You won’t find too many projects that can be bought online in that timeframe. Foundation work and support structures were completed in the September quarter of 2018 with the pre-fabricated capital equipment components, including the rotary kilns and electric furnaces, having all arrived at the IMIP from China ready for assembly. As can be seen from the images below, significant progress was made on the Hengjaya Nickel Project between September and November 2018. Better still, the Ranger Nickel RKEF lines are on track to be commissioned just three to four months after Hengjaya Nickel, meaning NIC will soon be deriving cashflows from four RKEF line — so, there are clearly some major share price catalysts to look forward to in the months ahead. As if near-term cash flows weren’t enough, in November last year, NIC was granted material tax concessions for the Hengjaya Nickel RKEF project via an official degree of the Minister of Finance of the Republic of Indonesia. These tax concessions will see Hengjaya Nickel completely exempt from the normal 25% corporate income tax for seven years, plus a further two years at a 50% discount. These concessions will substantially assist the already impressive cash flow profile of the RKEF lines and enhance future growth optionality. NIC is hoping that in due course, Ranger Nickel will also apply for and be granted these tax concessions which are subject to a series of qualifying criteria. An important facet of working in any foreign country is establishing a strong “social licence” to operate. Both Tsingshan and NIC have established this by maintaining a strong commitment to the local community. The IMIP has attained strong community support not only by creating employment for more than 20,000 local workers, but also in contributing to new accommodation for workers in the surrounding townships. Similarly at Hengjaya Mine, NIC has made a strong commitment to managing its environmental footprint, with ongoing work on rehabilitating previously mined production areas. The recent Palu earthquake and tsunami also saw NIC and Shanghai Decent providing coordinated support in the form of critical supply donations and rescue operation assistance. In the background to all of this is a recovering nickel market, which is worth looking at in more detail. Nickel is essential to steel and car production, and is a very popular component of alloys. Stainless steel production — almost exclusively in China — is the single largest demand segment for primary nickel, accounting for nearly 70% of overall demand. Nickel pig iron is the most prevalent source of new nickel supply. While it’s predominantly consumed by the stainless steel market, it’s also looking to soon provide an alternative source of supply to sulphides for the burgeoning battery market. Yet political instability in China and ecological problems in the Philippines have reduced the supply of nickel and, as a result, some economists speak of nickel deficits and high prices. In a recent report, Wood Mackenzie forecasts global primary nickel demand to increase from 2.31 Mt in 2018 to 2.68 Mt in 2025, at a CAGR of 2.2%. They expect the LME nickel price to rise over the short and medium term, maintaining that the price will sit at just over US$22,000/t from 2026. It’s a positive report, but ultimately whatever anyone thinks may happen with nickel in the future is somewhat irrelevant to NIC as this company’s project dynamics mean that company is sitting comfortably no matter the fluctuations. While 2018 was clearly a big year for NIC with numerous milestones achieved, 2019 promises to be even bigger. 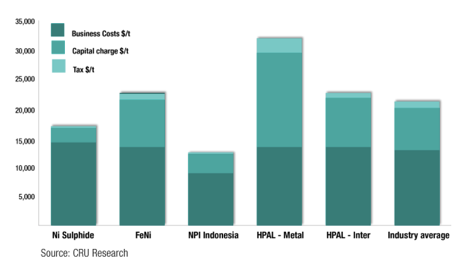 With both the Hengjaya and Ranger RKEF lines only months away from producing their first nickel pig iron, NIC sits on the cusp of becoming the beneficiary of the lowest capital intensive and most profitable pure nickel units produced in the global markets courtesy of its relationship with Tsingshan. This is an outcome than has not yet been appreciated by the market nor reflected in NIC’s share price. 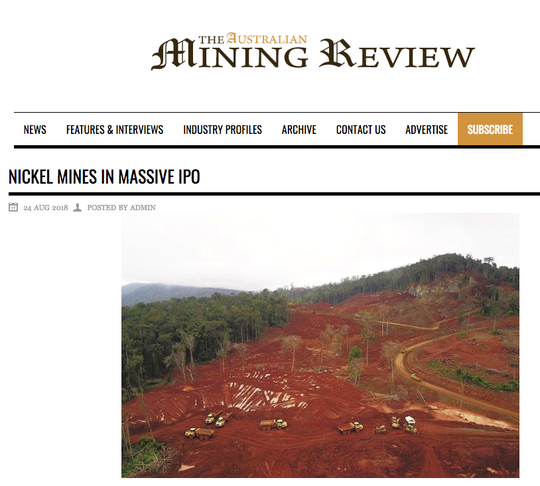 With global trade war concerns having seen the nickel price slide nearly US$2/lb since the company’s IPO bookbuild in early July 2018, NIC’s first several months as a publicly listed company have certainly been turbulent. Currently trading below its 35c IPO price in the 24c-27c range, there would seem to be a clear opportunity to accumulate this ASX newcomer at a low point in the commodity price cycle with several near-term share price catalysts on the horizon. This milestone timeline illustrates 2018 was a busy year for Nickel Mines. With Indonesia now widely acknowledged as the epicentre of new nickel supply growth and with most of this new supply coming from Tsingshan’s IMIP in the form of nickel pig iron and soon-to-be nickel sulphate, NIC serves as the only way for investors to gain exposure to this Indonesian nickel investment thematic. With four RKEF lines scheduled to come online at first quartile operating costs in H12019, NIC will be well on the way to fulfilling its objective of become a globally significant nickel producer. For investors looking for nickel exposure with an unmatched leverage to growth in low-cost nickel production capacity, you’ll be hard pressed to go past NIC.